I’m at the Shac Symposium today. This is the final act of the Sustainable Habitat Challenge (for this round at least). Nine teams from around the country have developed housing that is “simple, affordable, efficient, adaptable and desirable. Sustainable, in a word”. Early in the development of Shac I went to the Solar Decathlon and we learnt a lot from that trip, especially about the engagement of students, and about importance of communication. Shac, though, is quite a different beast. While the Decathlon houses could be described as Formula 1, the houses we have are real. Two of the speakers reinforced this difference for me last night. 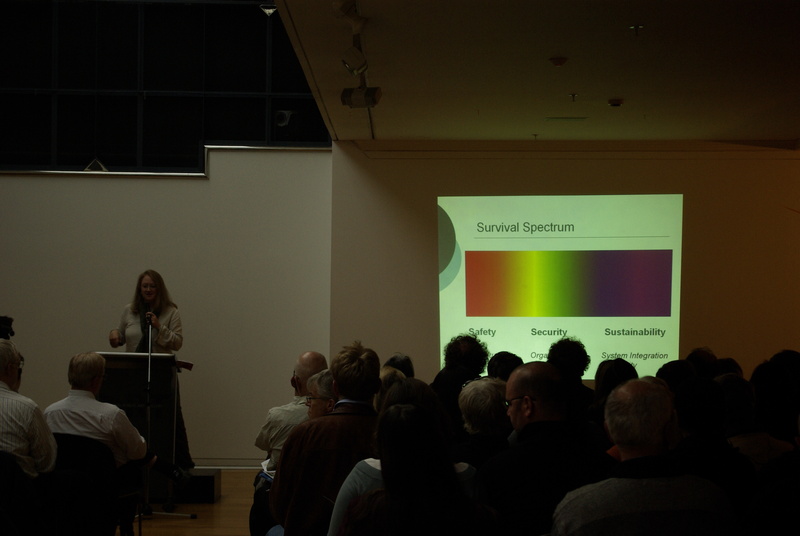 Susan Krumdieck presented sustainability on a survival spectrum: Safety/Security/Sustainability. She talked about the need for adaptability, the most important of these being of changing what we think and expect. 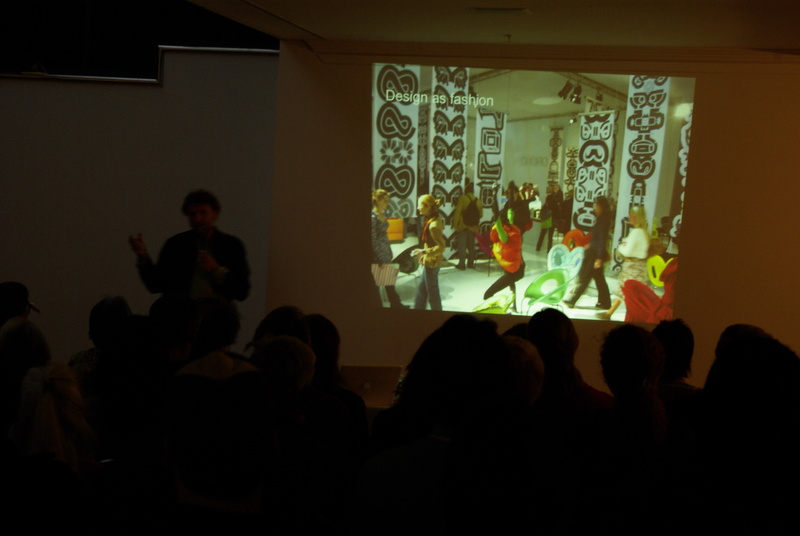 David Trubridge presented an interesting talk on design as a cultural experience. He is critical of swapism – swapping one technology for another without addressing the underlying issue, and of eco-design (despite being a practitioner in this area). He treads a line between design as fashion flimsy and design as an expression of the connections between people and their environment. He promotes the importance of craftsmanship. He repeated Susan’s message of “enough”. The problem is not one of supply to meet demand, it is, he says, a problem of how to make the demand meet the supply. This is where I think the Shac approach differs from the Decathlon. The tasks in the Decathlon are about maxising energy production so that the teams can achieve tasks such as tumble drying towels. The Shac houses are more about making sustainability a natural part of everyday life. I struggled with David example of housing – where sustainability features such as energy render the house a square box – “the worst kind of machine for living”. He contrasts these to things of beauty (eg Torajan houses), of craftsmanship valuing the connection between the environment and people. I don’t see the difference. Sure, the houses look different, but they are still an expression of values. I’ll try and with him about this today.